You still have a few days left to save up on your next Greece yacht vacation if you book the beautiful and luxurious charter yacht O’CEANOS before the end of May: She is available for last minute Greece yacht charter with a 25% discount from 1 – 11 June, 2015, with exclusive accommodation to fourteen guests in total. 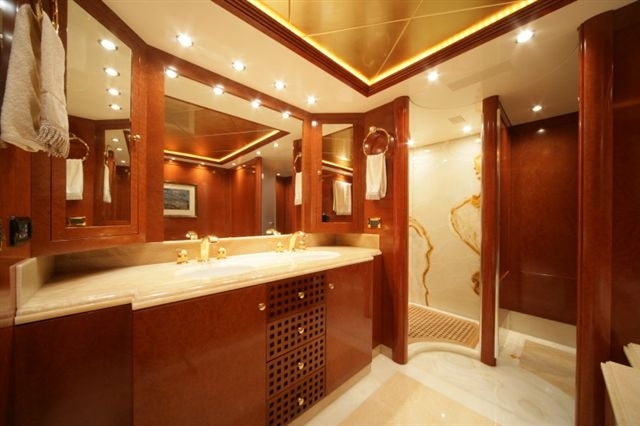 Superyacht OCEANOS is a 49m (160’7”) Mondomarine-built vessel, with her last interior refit carried out in 2013. In addition to this charter special, O’CEANOS is available in the Eastern Mediterranean, cruising the stunning coastlines of Croatia, Greece and Turkey or around the Western Mediterranean, discovering Naples, Sicily, French Riviera, Corsica and Sardinia for the remainder of the summer season. Luxury Yacht O’CEANOS’ main saloon is equipped with the latest in audio/visual equipment and represents a perfect place for social gatherings, relaxation or captivating cinema sessions at all times. Forward of the saloon is the elegant dining area, boasting a large rosewood dining table seating all guests in supreme luxury and comfort. 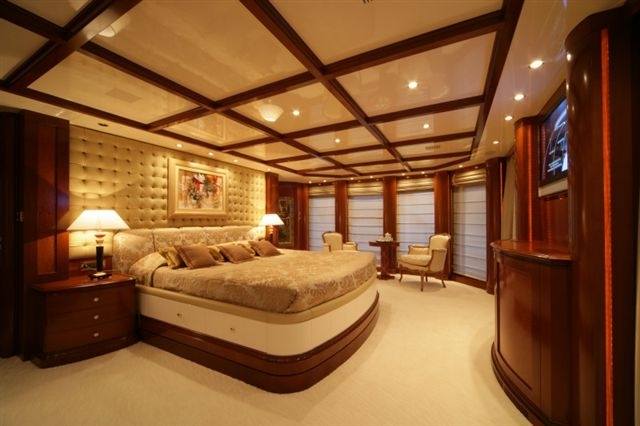 A large VIP cabin and a twin cabin are located further forward on the main deck, with the twin cabin being fully transformable into a suite with a private lobby between it and the VIP suite. This area is ideal for a family. 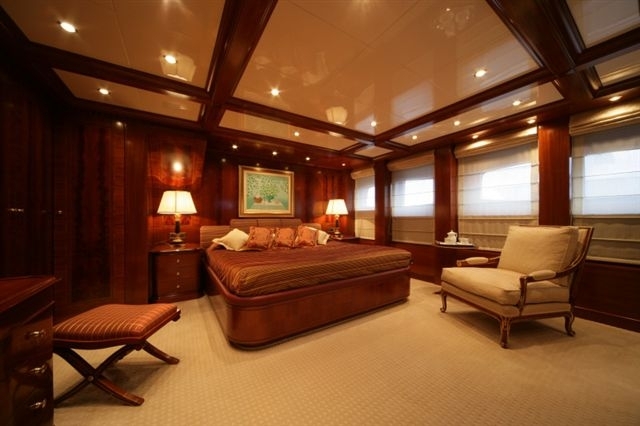 The owners’ suite is located on the upper deck spreading full beam of the yacht and offering a king-sized bed, a private office, lounge as well as an entertainment space, walk-in wardrobe, bar, fridge, a huge en-suite bathroom with a Spa Pool tub and a private balcony. 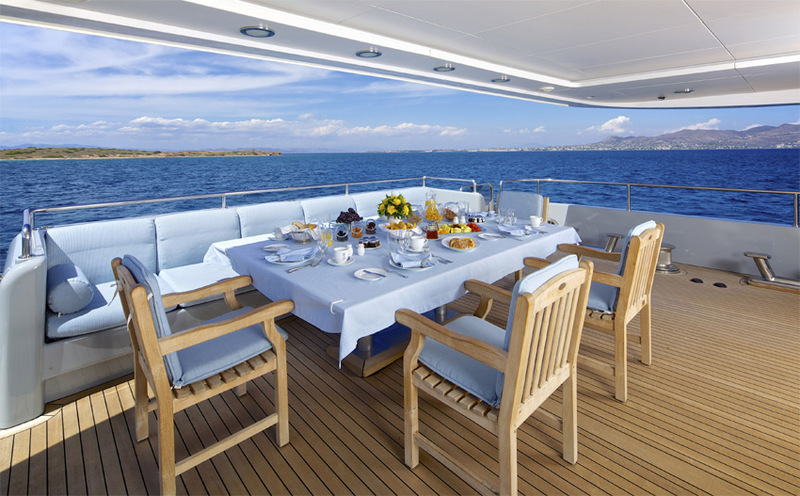 Exterior areas of Motor Yacht O’CEANOS offer excellent opportunities for al-fresco dining, sunbathing, relaxation as well as entertainment and social gatherings. The yacht has a vast sun deck well-suited for day-/night-time entertainment, has plenty of sun pads, seating, two al fresco dining options, a partially removable Bimini cover, a complete wet bar, a raised Spa Pool … and provides fantastic views of the yacht’s surroundings. 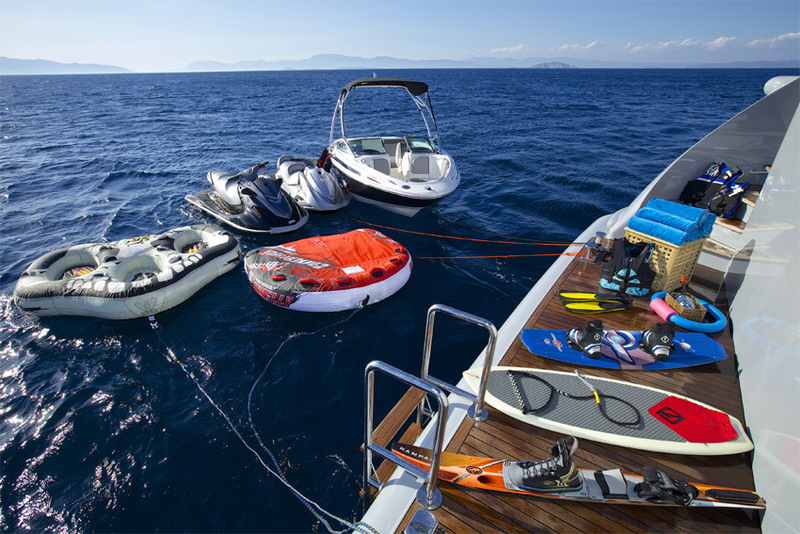 OCEANOS has a fantastic selection of water toys and water equipment for additional entertainment and fun during your holiday on board. If you are interested in O’CEANOS’ latest social offer, please don’t hesitate to contact us today, as the offer expires by the end of May. When planning your dream yachting holiday, make sure to contact a charter company that has access to all available yachts on the market. Choose an impartial one that works for you personally (not the yacht owner) and has your best interests at heart – like CharterWorld. For additional information on Mediterranean yacht vacation availability and personalised itineraries, please contact our professional charter agents who will be pleased to assist you in organising your next unforgettable holiday. Please contact CharterWorld - the luxury yacht charter specialist - for more on superyacht news item "Last Minute Offer on Greece Yacht Vacation with Charter Yacht O'CEANOS".